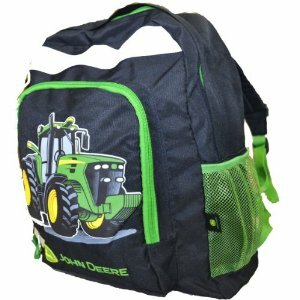 I got my son’s back to school shopping done early and it wasn’t complete without his new John Deere backpack. One thing I still needed to buy was a pencil box. I really wanted to find him something unique. I searched and searched… I came upon this cute custom shop on Etsy, Pink Fish Studios. She hand paints pencil boxes, among other cute things, and she had a green tractor on one of them. Perfect for my tractor obsessed son! Anything farm, tractor, horse, or truck related he loves. So, I showed it to my son and he loved it with some of his minor additions. 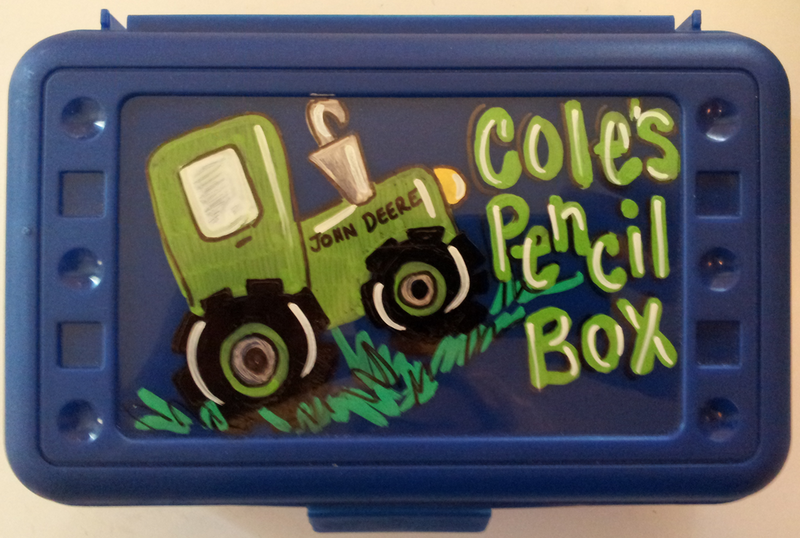 He had to have “Cole’s Pencil Box” and the tractor would not be complete without John Deere across the front. It came today and it is absolutely perfect! She done a fabulous job and I wanted to share it with all of you! Don’t see the design you want, ask her and I am sure she can come up with something perfect for you. What’s your favorite custom shop? Now, go enter some awesome giveaways! Giveaway Bandit contains endorsements for products and services, which means when you click on a link that I recommend, I may receive a commission. Not every link is an affiliate link. Giveaway Bandit paid for this item and is in no way associated with Pink Fish Studios (just a happy customer). Giveaway Bandit is an affilate of one or more of the products and banners you will see on this site. Regardless, all opinions expressed are still 100% my own. I am disclosing this in accordance with the Federal Trade Commissions 10 CFR, 255 Guides Concerning the Use of Endorsements and Testimonials In Advertising. Giveaway Bandit Disclosure.